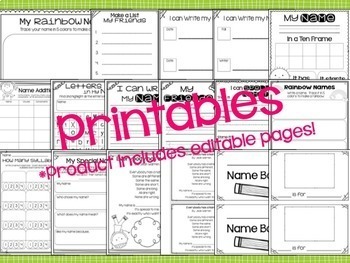 This set of editable Name Activities includes printables, centers, whole class activities, a craft and more! 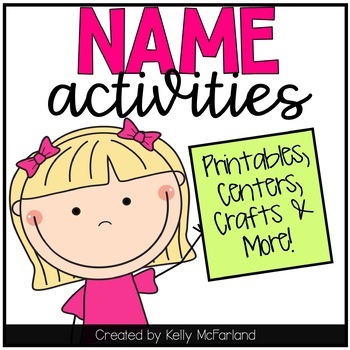 Name Activities can be used all throughout the year and this resource includes over 60 pages of name fun, plus editable pages. *This is a zip file. It includes a PDF and a Powerpoint file for the editable pages. -Magnet Names: Build it! Write it! 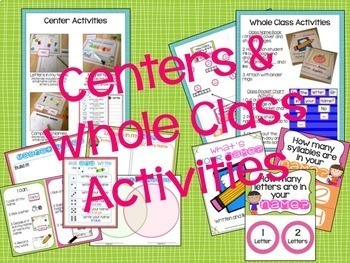 -Class Chart Pieces: Is the letter _____ in your name? 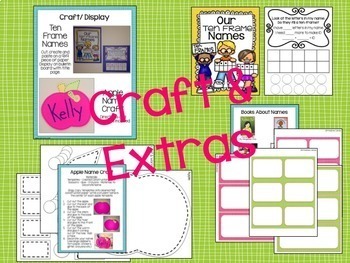 -Class Chart Pieces: How many letters are in your name? -Class Chart Pieces: How many syllables are in your name?